There are millions of authors who find that some of their ebooks are available on pirate sites and they are resulting in lost sales. Once your book is out in the wild, it is impossible to make any money on it and some authors have even lost their book deals with major publishers. One of the ways authors can combat piracy is to upload half of their book to a torrent site in a PDF and monetize it with Amazon Affiliate links, a live widget for their Patreon page and an embedded video via YouTube. 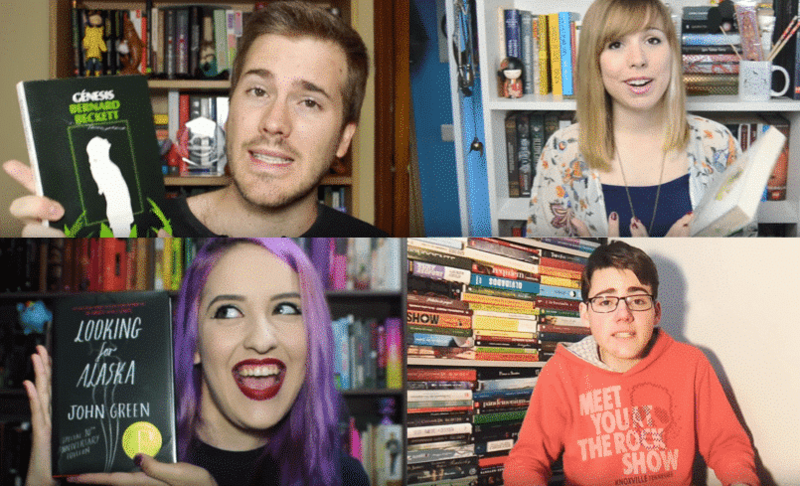 One of the big new trends on YouTube over the course of the past five years have been booktubers, where people talk about the books they love and read a few chapters. There are even some YouTubers that read books aloud to their audience and have a significant following. The top booktubers are making five or six figures a year. I believe that authors can monetize piracy by launching their own YouTube channel where they read the first chapter aloud or even the entire book. This will result in an increase of revenue once your account is approved for monetization beyond 10 minutes, which is based on your channel reaching 4,000 watch hours in the previous 12 months and 1,000 subscribers. The first thing you need to do is open a brand new Youtube channel, do not use a personal one with videos of your cat, dog or family. It needs to be a professional account that just has to do with business, which is selling books. Some authors might already have an existing YouTube channel where they have posted a professional book trailer or they use for marketing. It is important that the author be on camera and there are two ways to go about purchasing your production gear. Some people just buy a simple webcam and USB mic, both of which will cost less than $100. Alternatively I know many people who use gaming headsets with microphone for their YouTube videos, I am a huge fan of the Corsair Void PRO. Personally, I always recommend if you are going to do something, do it right, since first impressions are a big deal. I recommend to buy a USB or a Firewire Mixing board. You will also need a proper Condenser or Dynamic Microphone. I really like the HELI brand, it is well known and highly respected. You will also need to purchase a microphone stand, which normally go for $30 to $50. There are two ways that you can film your video. One is to do live via Youtube Live Streaming and the other requires post production via dedicated programs like Adobe Premier. Youtube Live has its advantages because people can ask questions or donate to your channel in real time. YouTube Live is ideal for authors who want to build up their content portfolio by doing author question and answer sessions. If you are simply going to read a few chapters of your book, there are a ton of great programs out there for PC and MAC. In order to combat piracy, videos are an integrated part of your overall strategy. They are easily embedded into an ebook, although they can’t be put in the same book that is listed on Amazon, Kobo Writing Life, Nook Press or Smashwords. These companies have strict requirements about listing video content within the retail copy and it basically is not allowed. In order to get around it, you need to make your own copy of the ebook, whether it is in EPUB/MOBI or PDF and embed the links to your video of you reading the book. If you are a self-published author, you should already have some knowledge of using programs to attach cover art, table of contents and hyperlinks. If you are a traditionally published author who simply uploads a word document to their agent, you have a steeper learning curve. Authors reading their own book on YouTube and producing original content on their own is not really a thing right now, but with some trial and error they should be able to do it. This will prep an author for a career in producing their own audiobooks or even podcasting. In many countries, breaking a DRM for personal use isisn illegal. Also, Calibre isn’t doing anything; it’s an external plugin that people go download and install that does the DRM stripping when importing books into your library. Still missing the big picture! DRM is not going to work. Calibre is just a book converter for me (EPUB to MOBI, MOBI to PDF, or other). People can still buy the book, borrow the book, or check it out from a library, digital or otherwise. What happens next? People can copy it in any form they please via photocopy, scan, take pictures, download, etc., and then distribute. Maybe even strip a DRM. Heck, find any PDF of a book and you could even print the dang thing! If you have any ebook reader (or any pad for that matter), you can read it. J.K. Rowling and her publishers did not provide a legal means of Harry Potter books for YEARS and then decided to release an ebook version YEARS too late and missed out. The underlying problem is price of books (digital versus hard copy) and how the publishers decide to make money, seldom with authors primarily in mind. Once we let go of the old paradigm of a hardcopy world and a hardcopy economy for books, we might see some real traction on the issue of piracy. But I am beginning to feel that they have whole-heartedly lost the digital battle already. Fortunately some people can still use their brain. DRM will never work, it is pure evil. Only ones who want to fight own customers will use that. We’ve been here many times, old games with DRM must be cracked even if you have bought them (experienced it presonaly), because that famous old DRM became unsupported on modern systems. Many experiences proves DRM = fraud on customer. Just search few cases. Many examples from many industries. Just one of many: Walmart music store. But OK, stop with jokes. Just try to see bigger picture and admit there exists also other countries than US. And not all of them has same availability of digital content on local market. Unfortunately. And there are many good people willing to buy, but they can’t. For them this called ‘piracy’ and libraries are their only chance. And really, that patreon or some other possible donation options would be great for them. They in many cases loves authors. They even sometimes do amateur translations of book for free, because there is no translation to local language. And they give warning messages to those books with links to amazon and other places where you can buy non-localised version of this book, even with DRM, with message like “please support author by buying online”. I do not say is your case too. Also not all people is that “good people”, some of them are certainly juste stealing. But not all people are “thieves” eighter. Just try to think about it a little. Also many people do not accept DRM. Because it simply does not work (for example in their device). Like me. I just like to have simply my whole library stored on my disk and just copy content to device I like. So I can use my nearly 10 years old kindle (which probably does not support moderny DRM, but fortunately I don’t have to care about it), or new Kobo/Pocketbook as well. If I want, I can use Linux computer, Android phone/tablet (I do not do that, but I can if I need to). Also without DRM I am sure I will open my books/music 10 years later (maybe just convert it to another format), because it just simply work, no need to care about some obsolete stupid customer fighting technology. Well, I know many people do not care about DRM/notDRM content. And just buys from Amazon ecosystem. But there people are those who are most surprised when their bought content sudenly does not work. They do not expect that behavior. They just do not know about it until they will experience a DRM related problem. I like what Kobo does (yes, some of books have DRM, but they are available nearly worldwide, and DRM can be fortunately stripped of). I also buy from local ebook seller (palmknihy). And I love Bandcamp and supraphononline (another local seller), they do provide same about music (without DRM).